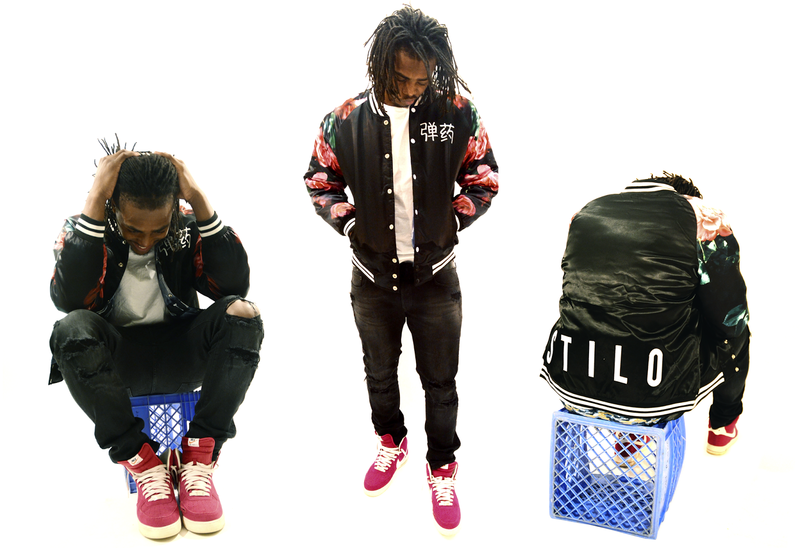 Home / Fashion / Ammo Stilo Releases "Blossomed Varsity"
Ammo Stilo Releases "Blossomed Varsity"
The Philadelphia based street-wear brand Ammo Stilo has released it's first installment of 2015. After owners Jared and Trebor teasing us with numerous visuals for months now via Instagram and Twitter (@Ammo_Stilo, @AmmoStilo) the day we have waited for is finally here. As promoted the jacket released at 2:00 PM on Valentines day on there site AmmoStilo.com. The jacket also has a surprise. In a image released a week before the release you see the jacket is reversible, so there's the vibrant floral side and the dark side. The jacket is produced in limited quantities as most Ammo Stilo pieces are, so our best advice would be get it while supply last. Ammo Vid from Trebor Adams on Vimeo.